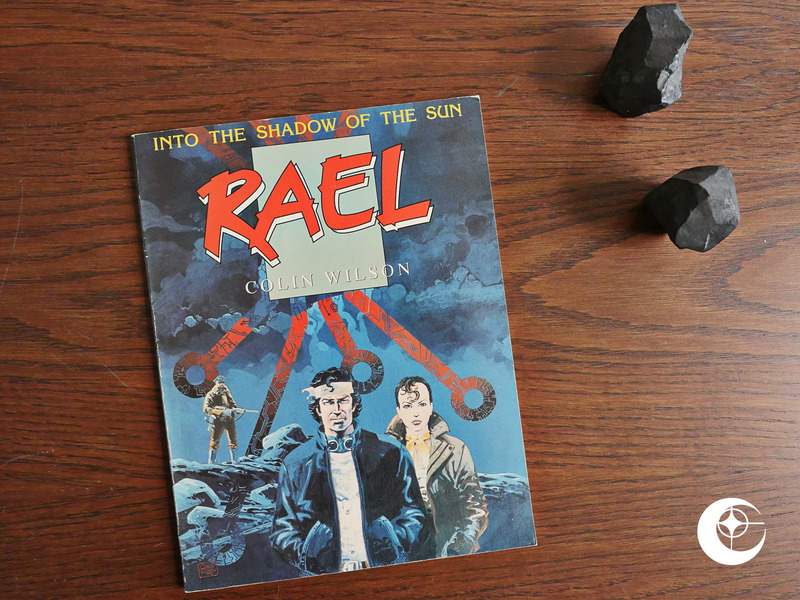 Into the Shadow of the Sun: Rael (1988) by Colin Wilson et al. 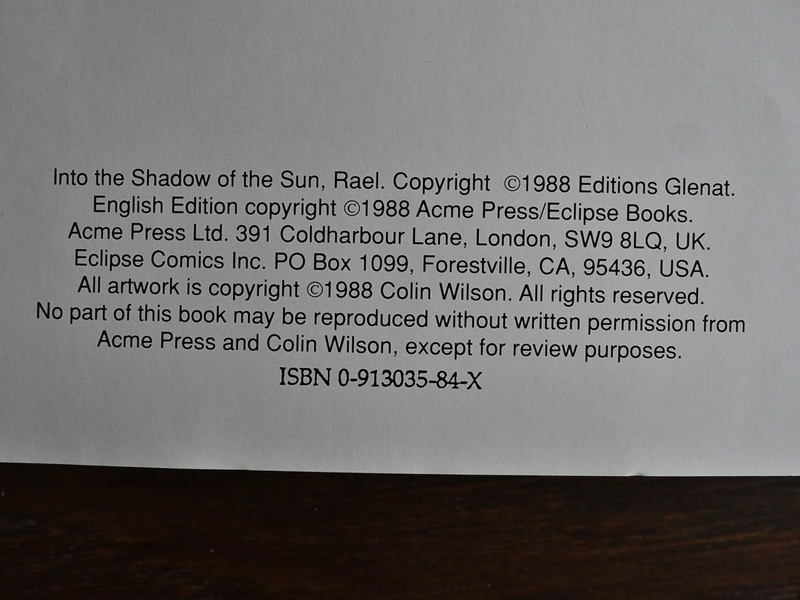 But this arrived at Eclipse via the Acme Press connection (like the Aces magazine), which made me more enthusiastic. Editor Cefn Ridout at Acme seems to have pretty good taste. But Editions Glenat? Colin Wilson doesn’t seem like a very French name, either. And this is the first album in a projected three part series. The artwork looks very much like cod-standard post-Jean Giraud science fiction: A bit scruffy and dirty, mixing contemporary and futuristic. 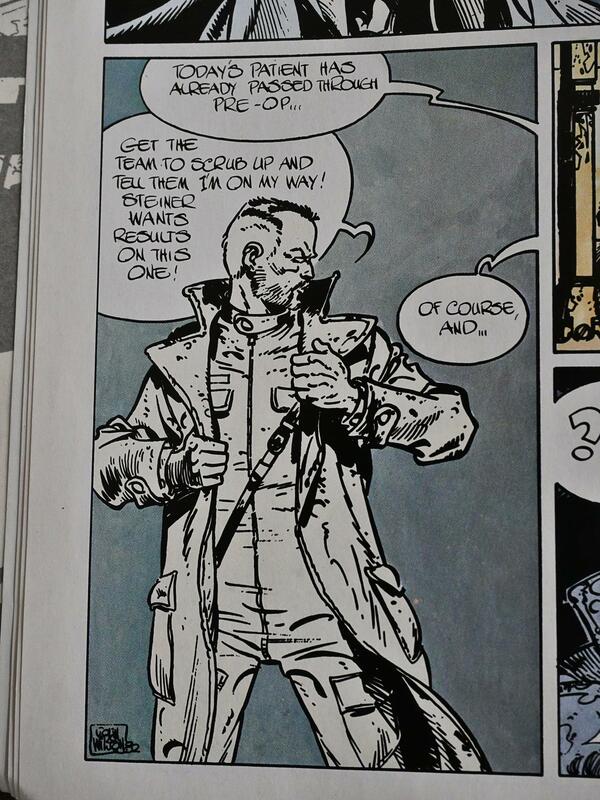 But the most striking thing about this is the colouring, which I’m wondering is a… mistake? Is this supposed to look like this, or did the printer do something wrong during the colour separations? Or is it an aesthetic choice to show how bleak and bleached everything is in this space station? But when Our Hero gets “outside”, the colour palette doesn’t really change. Really weird. Anyway, it definitely looks like a French dystopian sci-fi thing, and it reads like a retread of all those you’ve ever read, only a bit more confusing. It’s not very exciting, but the artwork’s nice and I liked the robots. And then it ends, and the subsequent parts were never published in the US. 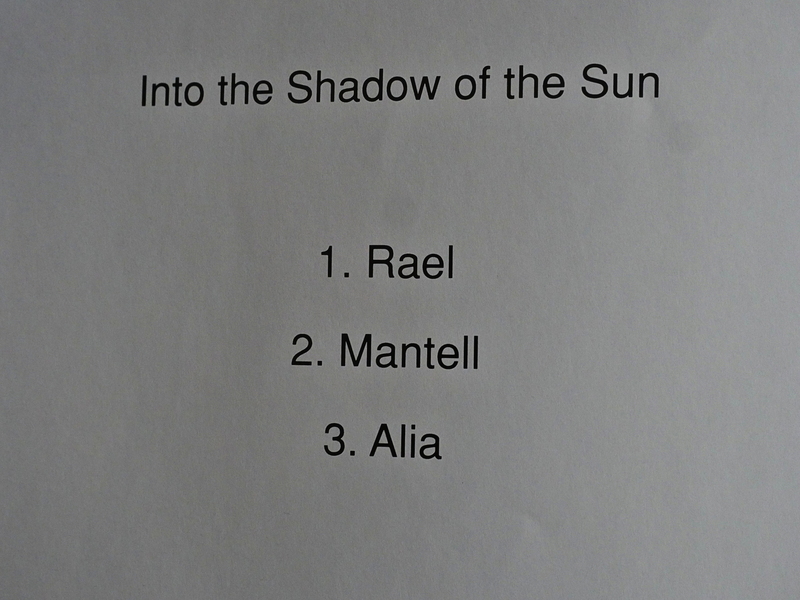 They were in France, though, under the name Dans l’ombre du soleil. 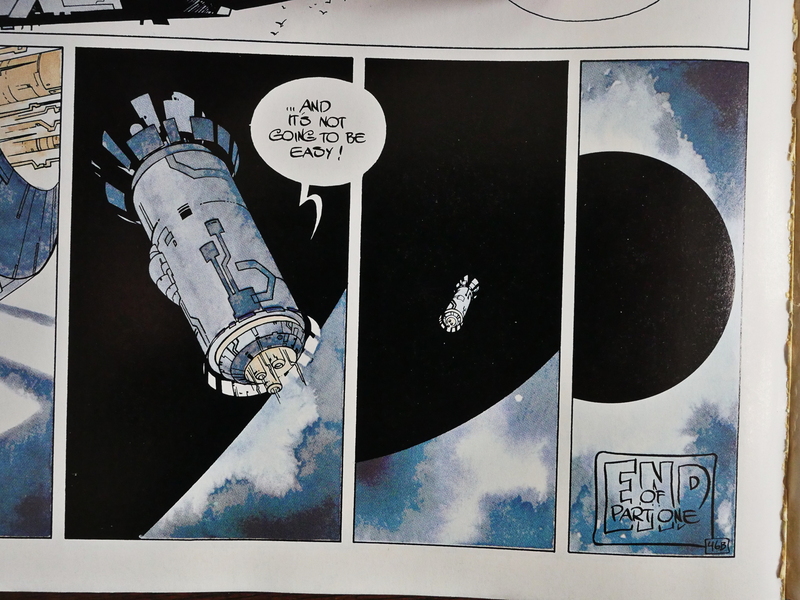 And apparently, my Giraud comparison wasn’t completely off the mark, since Wilson had also been doing Young Blueberry, the series that Giraud co-created. 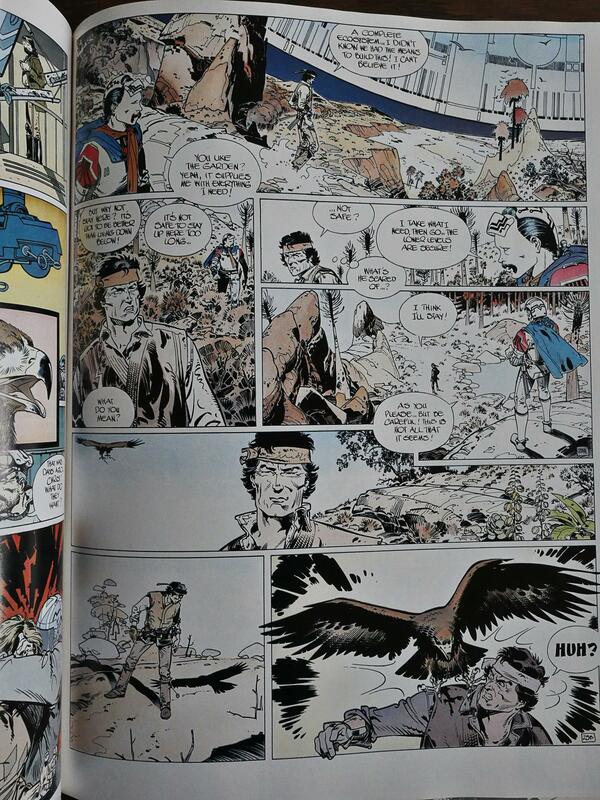 That web site also claims that Wilson did the colours himself on the Glenat edition, while Janet Gale is listed on the US version. 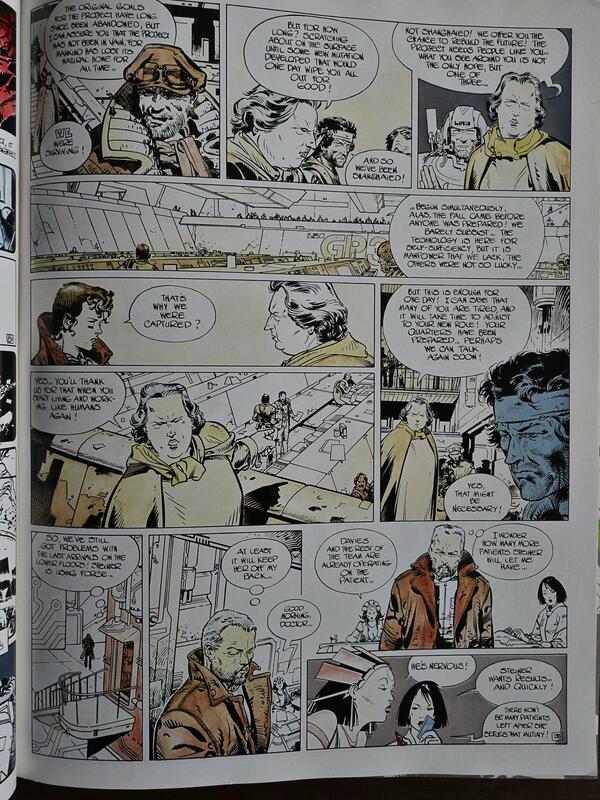 I’ve been unable to find the French version of any of the “bleached” pages on the web, so I can’t really compare. Aha! 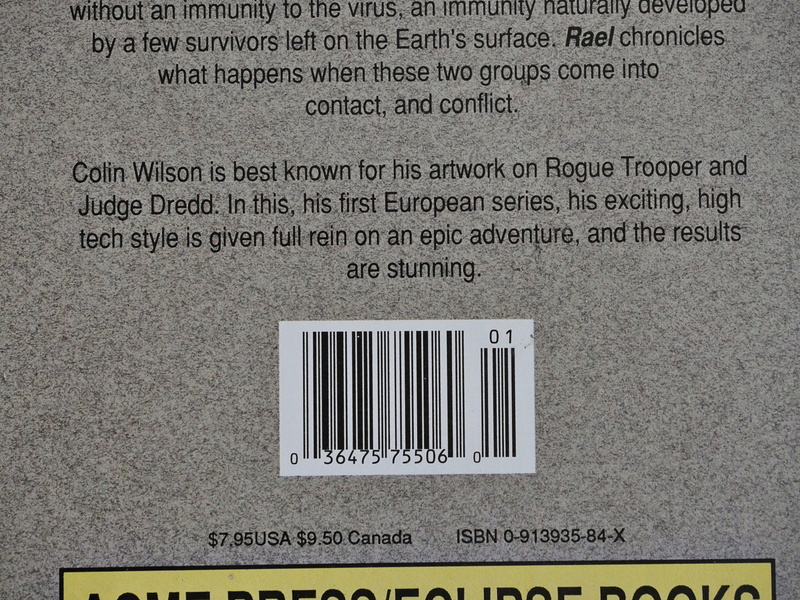 That explains the Acme Press connection: Colin Wilson is British and used to work on Judge Dredd before going bande dessinée.